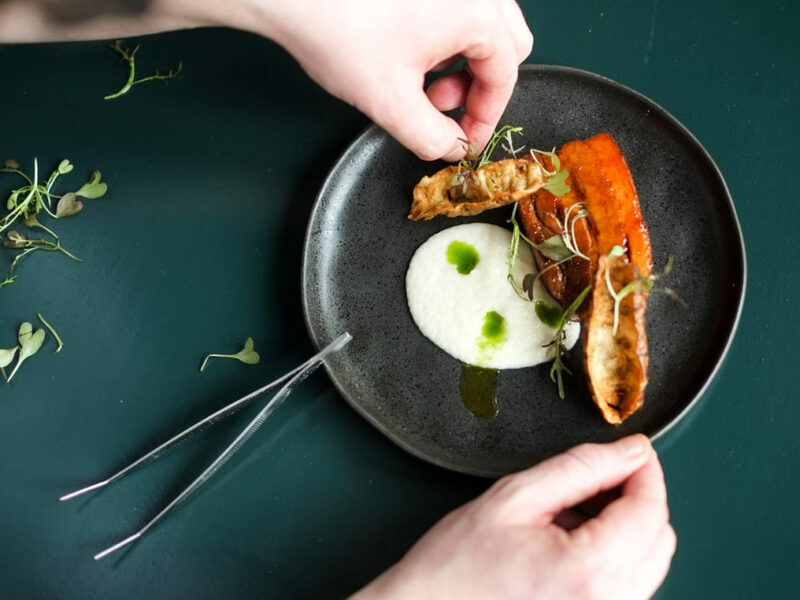 This April, the husband and wife team behind Mimo, will bring their award-winning cookery school, experiential dining and chefs table to London’s Borough Market. Mimo was born in Spain’s Basque Country, celebrating the rich culinary heritage of the region. Now Jon and Nicole Warren will return to the UK after 10 years in San Sebastián, bringing their unique food experiences to the heart of one of London’s oldest food markets; from hands-on cookery classes, to chef’s tables, progressive food experiences and market tours. Mimo began when Jon Warren left his London finance job for a fresh start in Basque Country. Captivated by the local tradition of pintxo bars, Jon began leading private tours to curious visitors looking for an authentic experience in his new hometown. Soon after, Jon and Nicole opened a gourmet shop and cookery school in San Sebastián and have since opened in Seville (2016), Mallorca (2017), the Algarve (2018) and now, London. Basque-born Joseba Lasa joins Mimo London at Borough Market as head chef, bringing with him a wealth of knowledge informed by the traditions and culture of his home country as well as refined skill and discipline from his previous role as executive chef at Urban Caprice, cooking for everyone from world leaders to the royal family. Each day, Joseba and his team will lead cooking classes, wine tastings and experiential dining activities. Mimo London’s experiences will highlight Iberian cooking, using the best British produce from the market next door. 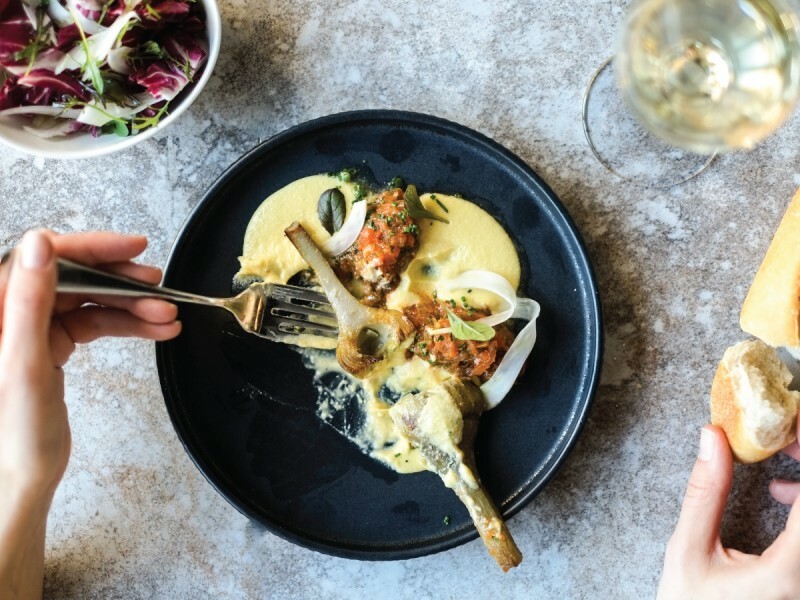 The cooking experiences will range from in-depth studies of Basque pintxos to lunch hour sessions and classes for the entire family – all of them will end gathered around a communal table to feast on the session’s wares. For the ultimate in culinary tourism, Mimo will transport guests from Borough Market to Spain’s food capital, San Sebastián, combining a cook’s tour of the market and a class on seasonal cooking with haute cuisine techniques before flying via private jet (should guests choose) to San Sebastián for the world’s best pintxo tour, and a class in Mimo San Sebastián’s Cooking School. Located in a historic building at One Cathedral Street, the school will respect the architectural history of the market, with gorgeous communal iron and wood tables. Original floor-to-ceiling sash windows and brass fixtures pair well with the contemporary kitchens designed and built by multi-award-winning kitchen designers, Roundhouse. The kitchen and cooking areas will be equipped with state-of-the-art Gaggenau appliances and sleek induction hobs. Where the trustees of Borough Market used to meet to talk business above the market’s former banana storage, so too will guests at Mimo gather around the beautiful Caesarstone worktops. Mimo London will open on the 4th of April in Borough market. All cooking classes and experiences can be booked online at London.mimofood.com. Experiences are available for everyone from the age of four upwards.